We&apos;ve come a long way from cheese in a box, but the packaging remains timeless. 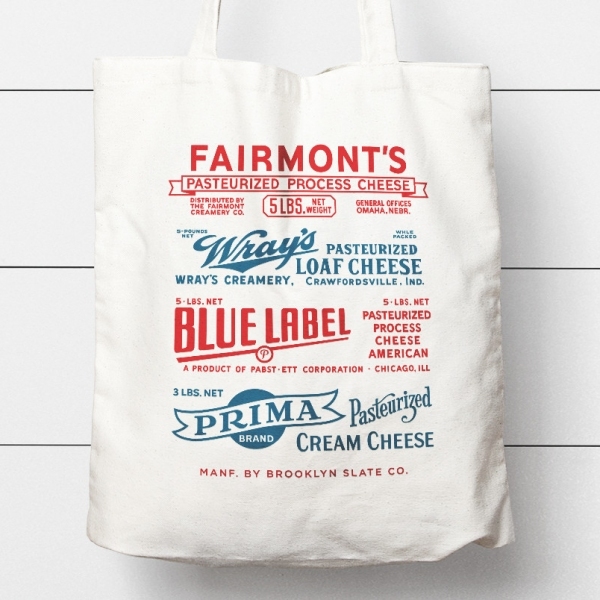 Our tote features four original, detailed imprints from the sides of vintage cheese boxes. Tote measures 13" wide by 15" tall. Printed in the USA.